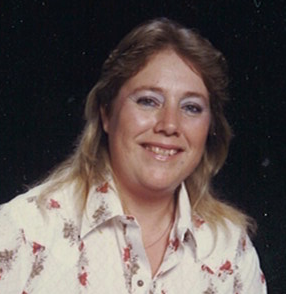 SANTA FE - On September 4, 2018, Wendy Gayle Long, loving wife and mother, passed away at age 64 after a four year battle with leukemia. Wendy was born on January 3, 1954 and resided in Santa Fe, Texas with her husband of 29 years. Wendy loved to shop and never met a stranger. She was very caring and always willing to help anyone in need. Her smile and childlike enthusiasm will be missed by all who knew her. Wendy was preceded in death by her mother, Nadine Brennan; her brother, Michael Brennan and her grandson Casey Reece. She is survived by her husband, Arnold Long; father, William Brennan; daughters, Bridgett Wilmoth (Curtis), Desirae Reece; son, Barry Penland (Crista); brother, Jeff Lyons (Gwen); sister, Peggy Thiess (Earl); several grandchildren, nieces, nephews, extended family, and friends. A viewing will be held at Hayes Funeral Home, 10412 Hwy. 6, Hitchcock, Texas 77563 on Saturday, September 8, 2018 from 12:00 p.m. until 1:00 p.m. Charlie Sierk will officiate services immediately following. There will be no interment. While flowers are appreciated, if you wish to make a donation instead, you may do so for the Wendy Long Memorial Fund at www.gofundme.com/wendy-long-memorial-fund. Donations will also be accepted at the funeral service.